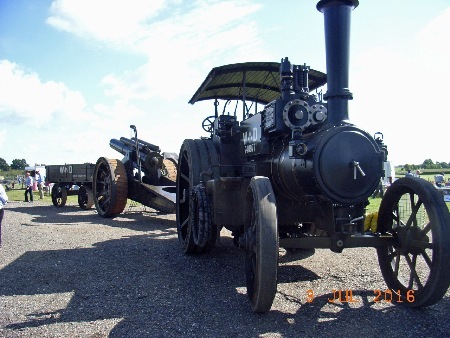 After an early meet at Thrapston and a slightly faster than the Standard would have liked convoy over to The Shuttleworth Collection, we arrived and with very little fuss considering the work Ian had done for us to be allowed in and parked in the greens section. Being on the whole a warm and sunny day, sunscreen was liberally applied (no burnt nose for a change), jackets and hats arranged back into a semblance of order, wheelchairs grabbed from the backs of vehicles (just mine) and all 21st century gubbins hidden in boots/foot wells/under camo tarpaulins. 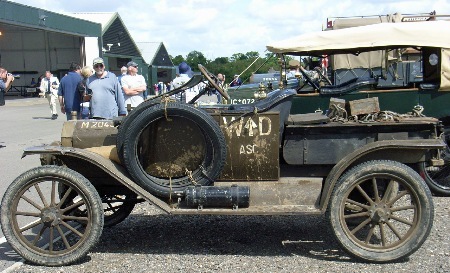 We set out to look at everyone else’s vehicles, mostly belonging to the collection. 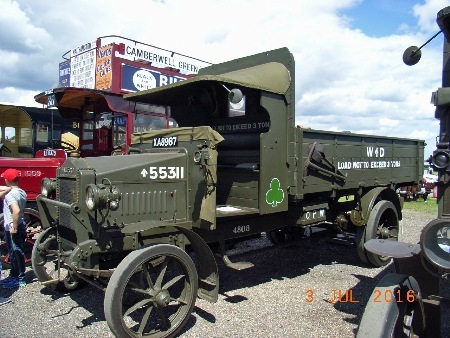 There were a fair few WW1 vehicles in attendance including two traction engines, troop transporter (I think – it was big and green) and a nurse hitching a ride on an ammo wagon. Most of the day was dedicated to flight displays and so a fun afternoon of trying to take pictures of triplanes, biplanes, monoplanes, three different Spitfires, a Messerschmitt and pretty much anything that could still get airborne. 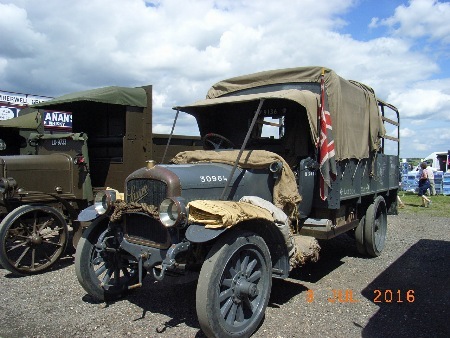 The vehicle parade at lunch time was a lovely break! Having checked we had insurance to drive air-side, Brian and I picked up guides and merrily pootled off into the parade trying to miss the aeroplanes yet still be near enough the crowds to hear the cheers over the engine noise! Departing at around five-ish to head back, we had a nice run (all I can wish for in a car that drinks equal parts fuel to water) and after the convoy of two split to head home during a quick driver change we learnt an important lesson . . . if you’ve swapped your reg plate to your display one (as pictured) ALWAYS CHANGE IT BACK BEFORE YOU LEAVE! Thankfully we didn’t get stopped, despite several police staring at the Jeep and Standard while we were rolling. I will learn for next time, always put the road plate on the driver’s seat, especially if you’ve done the convoy run on private land.